Home remodelers in Buffalo, NY have quite a job on their hands. They have to deal with crazy amounts of snow in the winter which means they typically only have about 6 months out of the year to work. Fortunately, that’s still plenty of time for many of them to create some truly stellar work. This list of the top Buffalo home remodelers consists of general contractors, home improvement professionals, as well as residential and commercial remodelers. 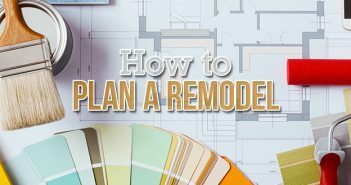 So, before you hire a home remodeler in Buffalo, make sure they made our top 8 list! Beautiful Homes by Thomas, also known as BHBT, has been around for over 35 years. They have continued to provide excellent service to home owners in Western New York through their years of experience with remodeling, additions, restorations, and so much more. They offer free estimates and there are never any hidden fees with their services. Budget Dumpster chose to include BHBT as a top home remodeler in Buffalo because of their great reviews and even better photos of their finished projects. Cortese Construction Services offers home remodeling services, home improvement, and overall general contracting in Buffalo and western New York. They have been in business since 1951 and have built relationships with residents across the state. Their expert contractors have experience with room additions, remodeling, disaster restoration, energy audits, and painting services. We chose to highlight Cortese due to their great customer testimonials and their many 5 star reviews on Facebook. Ivy Lea Construction in Buffalo is there to transform your dreams of a home remodel into reality. They employ the most experienced and sought after home improvement contractors in the area. Ivy Lea offers a wide variety of services including kitchen remodels, room additions, roofing, siding, insulation, and much more. Contact them for a free, quick, and easy estimate for your next project and they’re more than happy to listen to your ideas. We chose to showcase Ivy Lea as a top home remodeler because of their great Facebook reviews and video testimonials from previous clients. Repp Construction takes pride in every single one of their remodeling projects. They always deliver high quality results to their customers and they work to keep their customers updated and informed during every step of their project. When you go to Repp with an idea, they will take your idea and make into a reality that you can see before the project is even finished thanks to their 3-D imaging technology. If you are looking for a high quality, top-of-the-line construction or home remodeling job, this is where we recommend to start. Zenner & Ritter is a home services company in western New York. While they do not specialize in home remodeling specifically, we still think they deserve a spot on this list because they offer services such as plumbing, furnaces, repairs, and other home services that can all go into a home remodeling project. They have been in business for 80 years and we chose to include them because throughout their years in the business they have received many excellent customer reviews and testimonials. Zwick’s Home Improvement is a Buffalo based home improvement and home remodeling business. They are a family owned and locally operated business in Buffalo and have been for the past 30 years. Zwick’s offers many different residential services such as roofing, siding, garages, additions, decks, and much more. 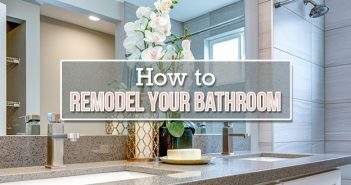 We included Zwick’s as a top home remodeler in this list because they continue to deliver high-quality results to their customers and they have excellent reviews on Yelp as well as Facebook. Northtowns Remodeling Corp has over 30 years of experience with building and remodeling homes in western New York. They specialize in remodeling outdated homes, no matter the size of the project. They work with local suppliers and lenders to help other local businesses in the area. They also have experience with bathroom remodeling, kitchen remodeling, additions, decks, and windows. Northtowns earned a spot on this top home remodelers in Buffalo list due to their great customer reviews and testimonials. 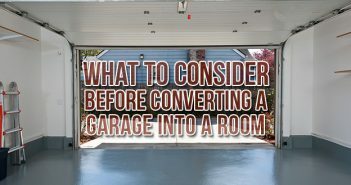 Corey Szczesny Home Improvements is a professional home remodeler in Buffalo, NY offering a wide variety of home improvement services which include kitchen and bathroom remodeling, home additions, garages, decks and porches, landscaping, and just about anything else you can think of. Their high-quality results and years of experience leave their customers satisfied with their home remodeling projects. We chose to showcase Corey Szczesny Home Improvements because of their gallery of before and after photos from real customers. Budget Dumpster is happy to promote these 8 home remodelers in Buffalo due to their high quality of work and great customer reviews. These 8 home remodelers and contractors have proven to be successful and trustful in many different situations. Do you know of another great home remodeler in Buffalo we may have missed? Let us know by leaving a comment in the section below.